My little bakery 🌹: 4th of July cookies...Creative Star Project! 4th of July cookies...Creative Star Project! customers, friends and relatives with amazing designs of Independence Day cookies! 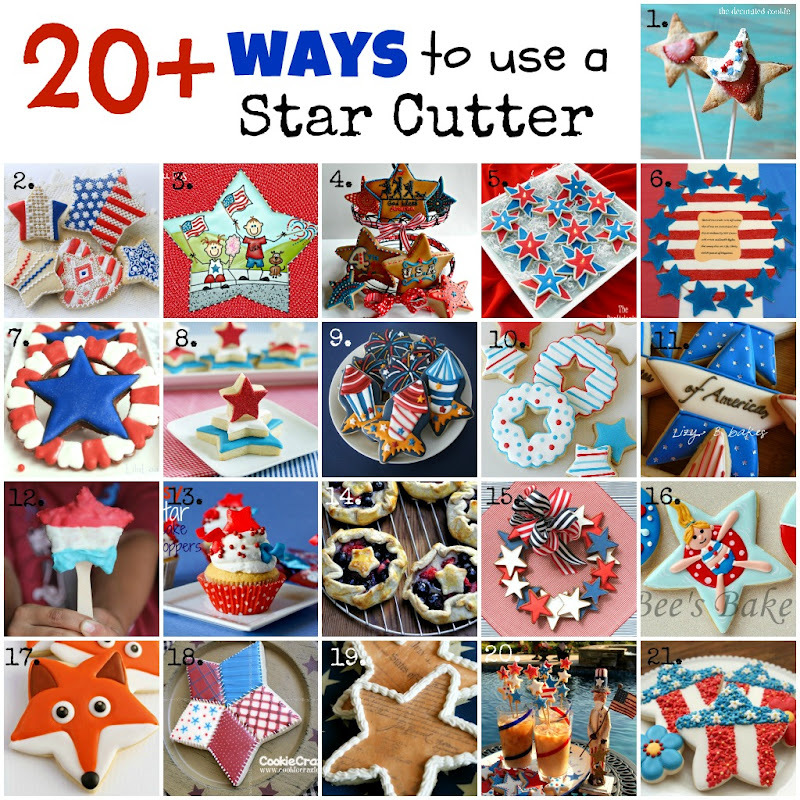 One of the most used cookie cutters these days is a star. Seems like the most simple and familiar to everyone cutter. What else can we come up with to make something new with it?! Turns out- you can! Look at this beautiful collage!Callye ( Sweetsugarbelle) collected 21 amazing decorator's works! Looking at the photos I immediately recognized the style of some ladies I know. Awesome and very inspiring work! Thanks Callye for posting my cookies! It is a huge honor for me to be the part of this wonderful group of talented people! Here is a list of authors, that were part of this project. their amazing websites, blogs and Facebook pages. Your cookies are stunning. Your needle point piping work is jaw-dropping! Happy July 4th to you and your family. These cookie are just so beautiful and intricate!! You do such gorgeous work!! Stunning...as always! I love how delicate they are! What incredible detail! I had to stair to make sure it wasn't really thread :). Nadia, these are beautiful! Very smart to do needle point cookies! I love them! These are absolutely stunning, i love your delicate lace designs! Wow Nadia these are beyond amazing! I can't even fathom making something so gorgeous! Fantastic job and thanks for sharing! Nadia! I have not been able to stop staring me aince I saw the very first photo! These are stunning! Oh, guys, Thank you so much for your comments! I love you all! I have been sitting here admiring your incredible star cookies! Such precision piping and gorgeous designs!! How I would love to watch your create something like this one day.......I cannot imagine the patience you have! Thank you for sharing your beautiful work with all of us! Thank you, Maryann! I consider myself a novice and your cookies have always inspired me! Love your contribution to the 4th of July collection. Your lace-like detail work on the cookies is beautiful! Holy Cow these are awesome! I hope you'll add these to my Patriotic Project Parade. I would love to see them there. me encanto la decoración de tus galletas es simplemente patriótico mas por el 4 de julio felicidades.